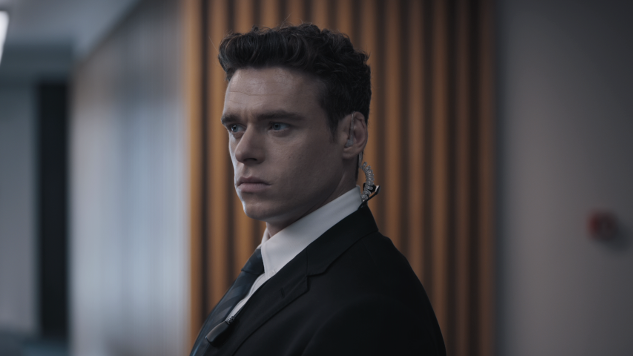 Netflix has released the trailer for BBC political thriller series Bodyguard, starring Game of Thrones’ Richard Madden, which arrives in the U.S. later this month through the streaming service. The new trailer arrives on the heels of recent reports that Madden, best known to American audiences for playing Robb Stark on HBO’s juggernaut Game of Thrones, is in talks to take over as James Bond following Daniel Craig’s farewell in the forthcoming Bond 25. This would potentially affect the odds of a second season for the hit six-part series, the fate of which was already up in the air on BBC after Netflix picked up international rights. Either way, fans outside of the U.K. and Ireland will soon get their chance to check out the British phenomenon. Bodyguard arrives on Netflix Oct. 24.